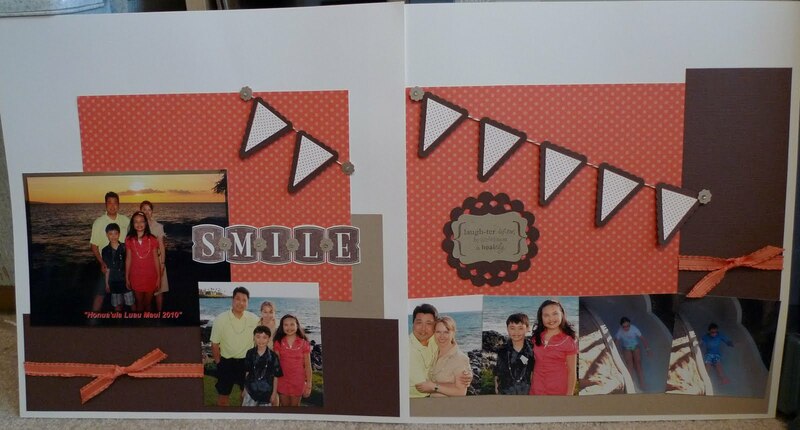 I hold a scrapbook class once a month and this is the layout we're making. I used the Pennant Parade stamp set with the matching Petite Pennants Builder Punch. Notice the new Letter It stamp set? It was really quick & easy to stamp and cut out the letters. The 2 page layout is only $15.00 or Free with a $25.00 order.